In the Valley of Oaxaca, located in the Southern highlands of Mesoamerica, an indigenous, pre-Columbian civilization, known as the Zapotec civilization or the “Cloud People”, flourished around 2,500 years ago. They left behind impressive ruins and provided a lasting influence to the many cultures that superseded them. During the Monte Alban 1 phase (400–100 B.C. 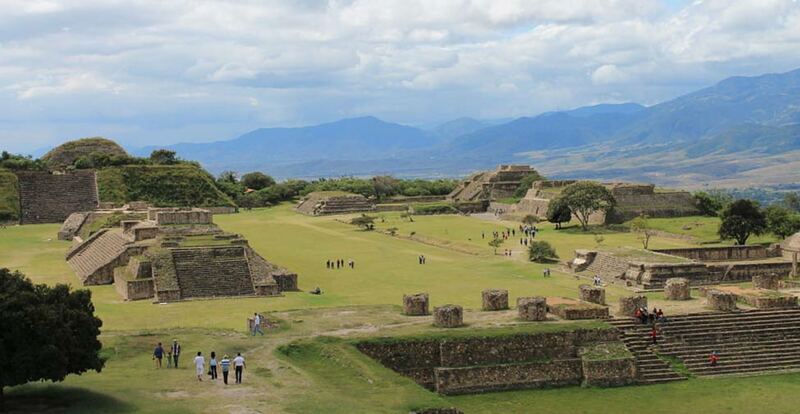 ), the Zapotec civilization began to form in the Oaxaca Valley. They were the largest indigenous group in Oaxaca, with populations reaching approximately 350,000 at their height. Members of the Zapotec civilization created and developed a powerful state system that went through periods of development and decline. The Zapotecs can be divided into three distinct groups - the Valley Zapotec (in the Valley of Oaxaca), the Sierra Zapotec (to the north), and the Southern Zapotec (in the south and east, near the Isthmus of Tehuantepec). The peoples were primarily peasant farmers, living in communities of approximately 5,000. Altogether, the Zapotecs lived in farming villages, mountain settlements, scattered ranches, rural areas, and two urban centers, Juchitán and Tehuantepec. A typical Zapotec community contained government buildings, a place of worship, school buildings, dry-goods stores, and possibly a health building or clinic. Their houses were made of stone and mortar. The Zapotec were hunters, and were believed to have hunted antelope, deer, jackrabbits, squirrels, fox, rats, and quail. They did their hunting with darts and spears. They strategized hunting by disturbing bushes to drive squirrels and rabbits to a central location. The languages of the Zapotec civilization belong to an ancient family of Mesoamerican languages known as the Oto-manguean language family. Around 1,500 B.C., the Oto-manguean languages began to split off, creating differing languages across the regions. The Zapotec language is a tone language, which means that the meaning of a word may vary based upon the tone with which the word is spoken. Today, the Zapotec language is still heard in parts of the Northern Sierra, the Central Valleys, the Southern Sierra, the Isthmus of Tehuantepec, along parts of the Pacific Coast, and in parts of Mexico. The Zapotecs developed their own logosyllabic system of writing, which assigned a symbol to each syllable of their language. This is believed to be one of the first writing systems created in Mesoamerica, and a predecessor of the Mayas, Mixtec, and Aztec writing systems. Their writings were to be read in columns, from top to bottom. The Zapotec used their writing system to record important events in their civilization’s history. Archaeologists have found many Zapotec writings, but a number of them still remain to be deciphered. 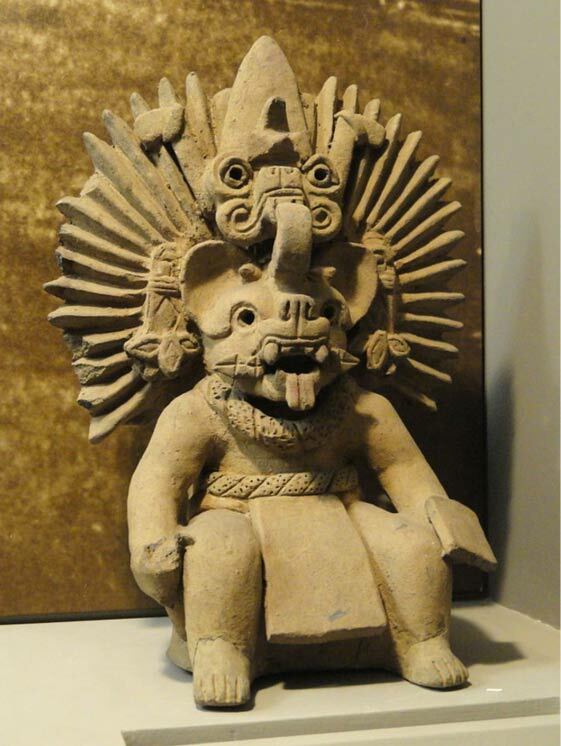 The religion of the Zapotecs was polytheistic, with two primary deities. The deities included rain god Cocijo, and Coquihani, the god of light. Their lower-level deities were both male and female, often focusing on agriculture and fertility. The males wore breechclouts and capes, and the females wore skirts. There is some variation as to what the Zapotecs believed of their origins. Archaeological evidence suggests that they believed their ancestors emerged from the earth or caves, or that they formed from jaguars or trees. Alternatively, there is some indication that they believed to have descended from supernatural beings living among the clouds, a status they would return to upon death. The Zapotecs are an example of an ancient civilization that experienced periods of both thriving and struggling. There is no trace of a violent destruction, and the reason for their decline is unknown, although it occurred during a time of much conflict in the area. Their location was later adopted by the Mixtec as a sacred site, and royal burial location, and can still be visited to this day. I have actually visited this site and seen many of the artifacts. This is a fascinating civilization of Mesoamerica. As to their demise there are many theories but, as the article states, there was much conflict in the area at the time they disappeared. Most likely they were wiped out by invaders or enslaved by their enemies. Their creation stories are also interesting especially the one asserting that they were created by supernatural beings living among the clouds and they believed they would one day return to the clouds. Hence the name "cloud people." When I first heard this creation story of the Zapotec I thought they must have had a belief that they were spritiual beings at their core and physical beings secondarily. These people were more intelligent than we may think not only in terms of their beliefs but also in terms of their civilization. They established an ordered society similar to our own today in some respects. They were FAR from being the barbarians or savages some might believe them to have been. Great article!! this is an awesome article. It would have been amazing to see how they lived day to day.